Noting World Water Day and reflecting on International Women’s Day movements and Women’s History Month in a number of countries, USAID and IUCN examines its partnership on Advancing Gender in the Environment (AGENT), which aims to improve development outcomes by strengthening environmental programing through gender integration and achieving gender equality outcomes. 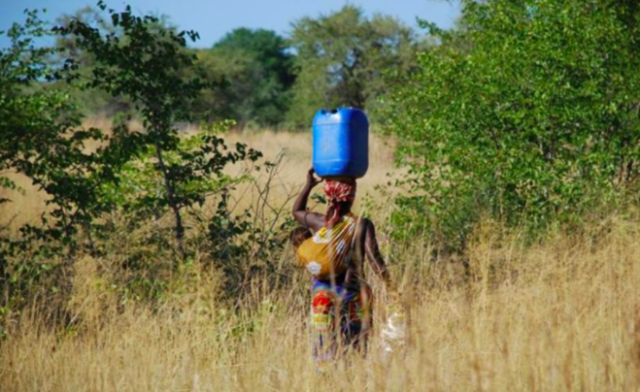 These considerations emphasize that gender equality and women’s empowerment –particularly when it comes to ensuring that women and men have equal opportunities in accessing, benefiting from and participating in environmental decision-making– are essential for effective conservation and sustainable development. A few weeks ago, marking International Women’s Day, IUCN’s Director General made a strong statement on the importance of women in conservation and sustainable development. Today, we are joining advocates from around the world to also mark Women’s History Month and noting the importance of women on World Water Day. We’ve recently expanded our USAID-International Union for the Conservation of Nature (IUCN) partnership into a broader program that enhances environmental programing in a wide range of sectors through the robust integration of gender-responsive approaches and actions throughout USAID programs focused on biodiversity, energy, land rights, urbanization, and forestry, among others. Over the last year, USAID and IUCN conducted research, and created knowledge products and tools, on the status of women and relevance of gender issues across the environmental sector. When studying national energy policies and frameworks, we found that less than a third of 192 frameworks from 137 countries identified issues that have gender dimensions –i.e. some policies note that women suffer from energy poverty disproportionately– and/or included objectives and strategies that have gender considerations. Furthermore, when women are mentioned, they are often characterized as potential stakeholders or beneficiaries and seldom as innovators or leaders in solutions. AGENT is underscored by the knowledge that gender equality and women’s empowerment are powerful levers for change: women are vital to conservation and resilience-building efforts and contribute valuable perspectives. For example, in Malawi, when local communities were asked what trees they would like to have planted, men were the majority of respondents, and they requested trees that provide non-renewable sources of income like timber and charcoal. However, when efforts were made to ensure women were surveyed, they asked for fruit-bearing and medicinal trees that provide added nutrition, health benefits and income –all without cutting down trees, thereby helping ensure the success of reforestation objectives. This blog was contributed by Lorena Aguilar and Corinne Hart and originally appears on IUCN.org. Lorena Aguilar is IUCN’s Global Senior Gender Advisor and Director a.i. for the Global Programme on Governance and Rights. You can learn more about IUCN’s gender work at www.genderandenvironment.org. Corinne Hart is USAID’s Senior Advisor for Gender and Environment at the Office for Gender Equality and Women’s Empowerment.